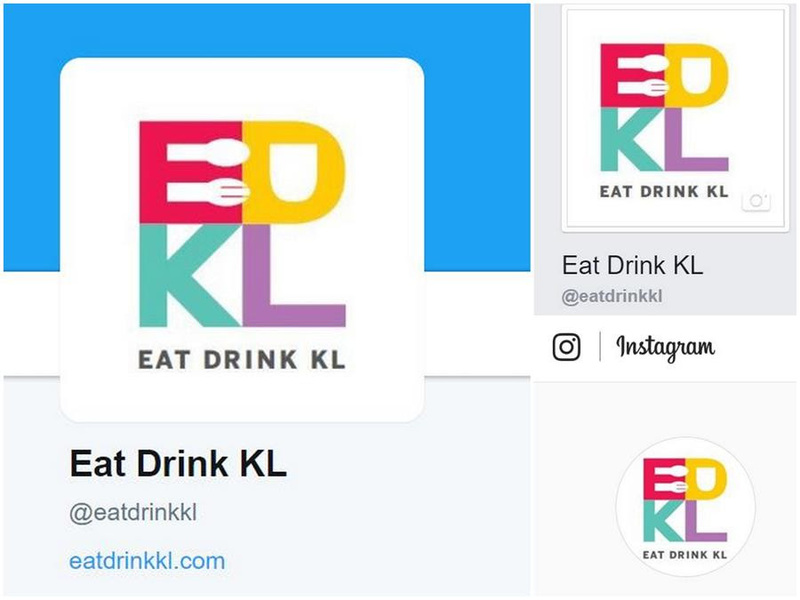 ANTE's show-runners scoured the streets of Kelantan and Kedah to Petaling Jaya, consuming more carbs than necessary to come up with their first-ever special for the month of Merdeka: Nasi kerabu with a twist or two, created after sampling numerous versions across peninsular Malaysia in an effort to extract the secrets behind this traditional favourite. 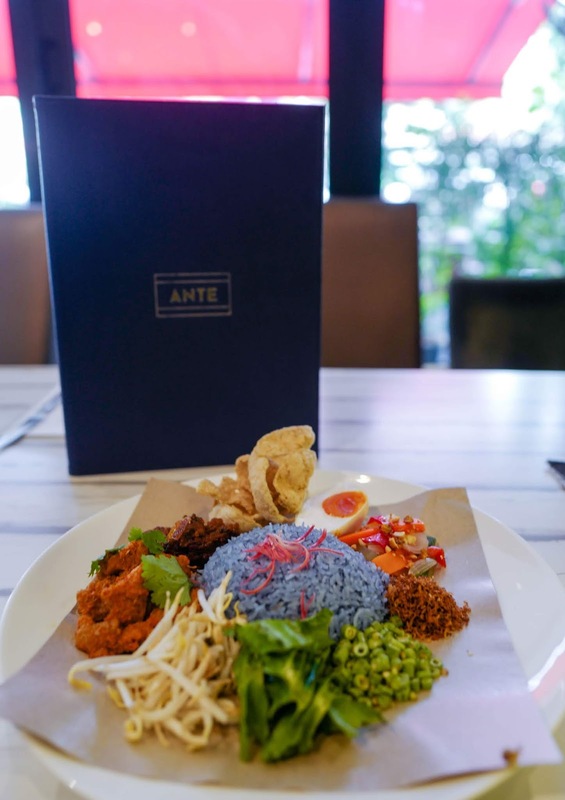 The core of ANTE's nasi kerabu does delicious justice to East Coast flavours, imbued with the natural hues of butterfly pea flowers handpicked from the garden of one of ANTE's team members' own grandparent. 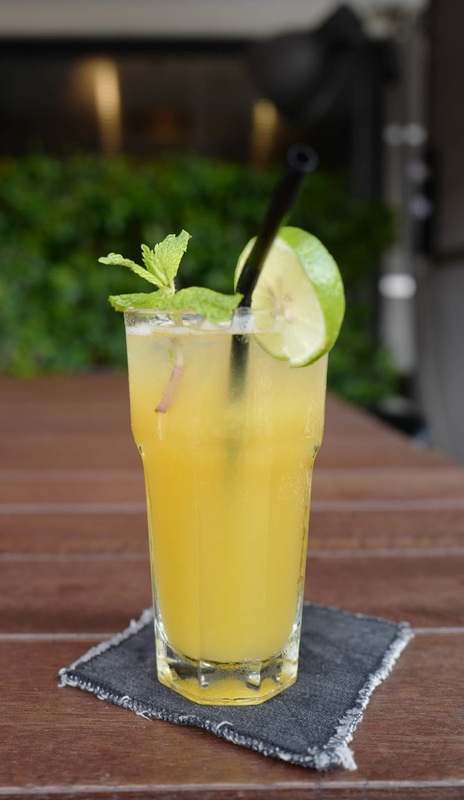 The rice is cooked with a bit of fresh coconut cream for a boost of fragrance, buoyed further by house-pickled acar comprising cucumbers, carrots, red chillies and pineapples immersed overnight in Japanese white vinegar, rice wine vinegar and sugar, resulting in a more pronounced tang compared to regular acar. Surrounding the rice, you'll find accompaniments galore, from slow-cooked sambal made from scratch with dried chillies, anchovies, shallots, galangal and onions (more sweet than spicy, wonderfully thick) to salted egg, toasted kerisik, fish keropok, four-angled beans, long beans, bean sprouts and some bunga kantan sprinkled over the rice. 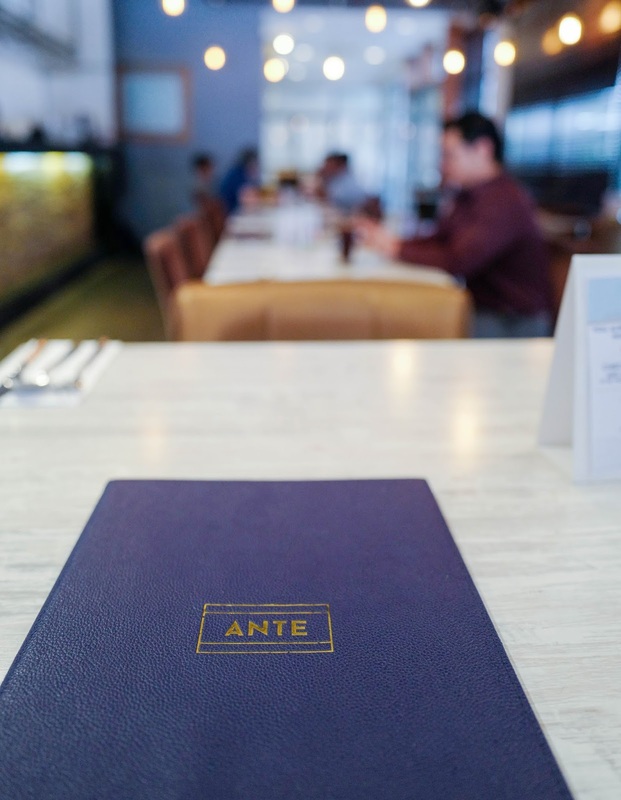 But since ANTE is best known as a lair for meat, particularly pork, the limelight falls of course on the pork rendang, made with Spanish pork shoulder that's been braised for five hours to hit the pinnacle of tenderness. The potent flavour of the pork not only punches well through the rendang but also complements the other ingredients, creating savoury-sour synergy with the acar for example. 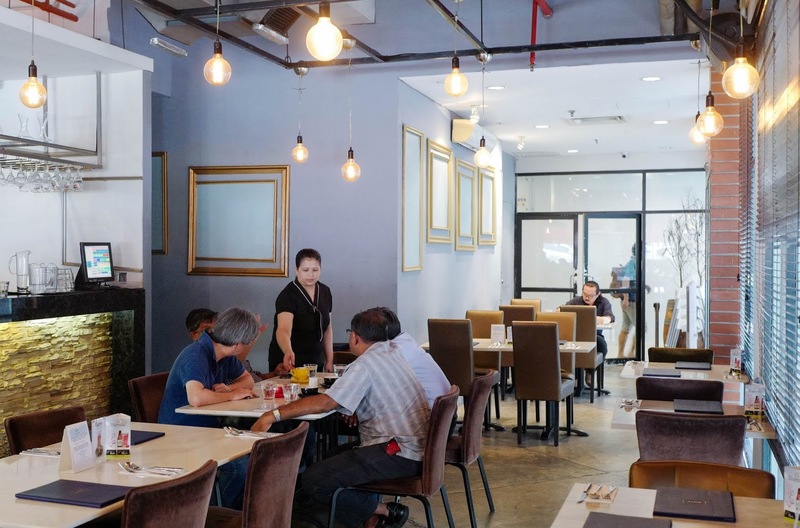 The result is a colourful dish that tastes as rich and multifaceted as it looks, justifying its price tag of RM23.90. 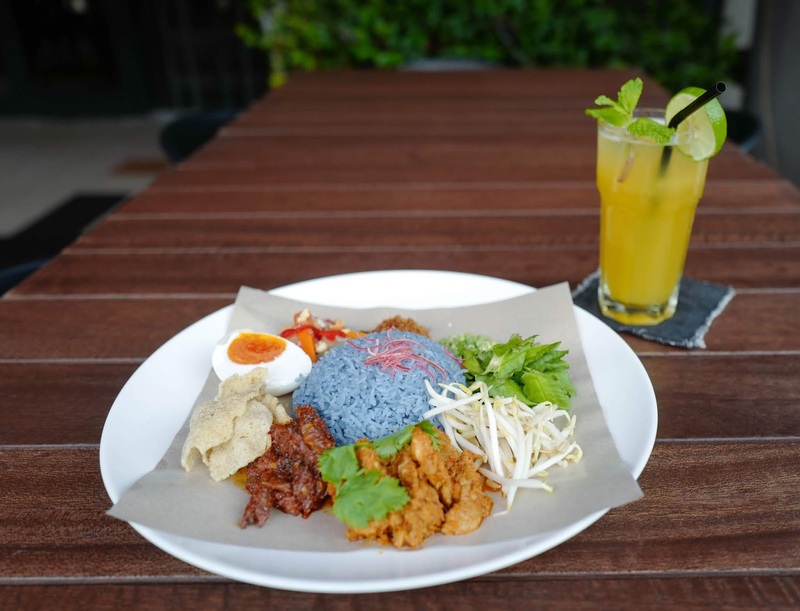 The nasi kerabu is available EVERYDAY for lunch throughout August, from 11am to 3pm, at ANTE's branches in both Solaris Dutamas and 1 Utama. 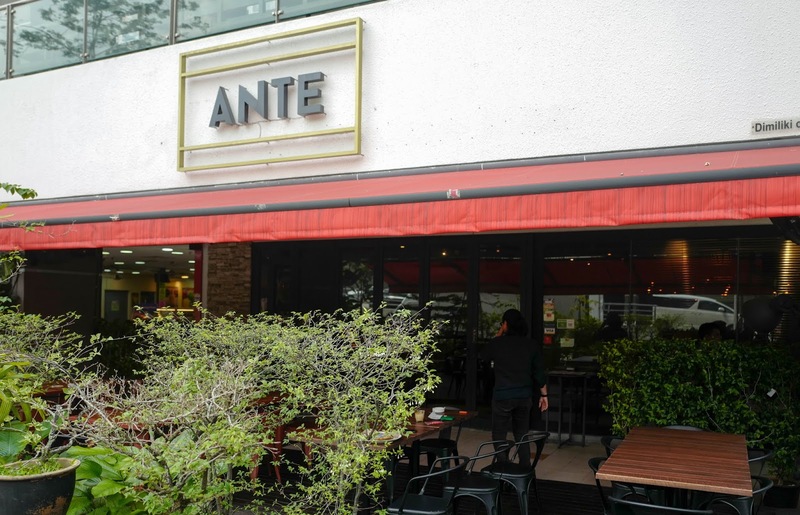 All in all, it's intriguing to see ANTE venture into the Malaysian cookbook, since customers here typically order pork steaks, pastas and burgers - the nasi kerabu, specifically timed for the month of National Day celebrations, is in fact ANTE's sole rice-based offering. 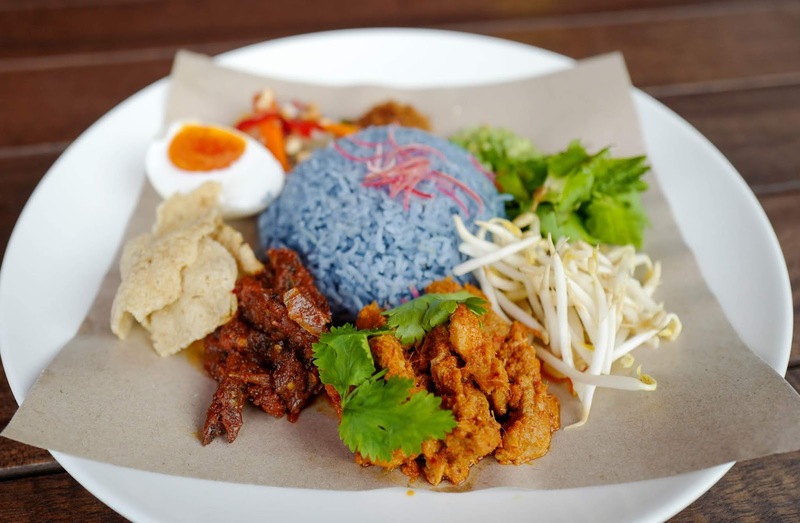 Less beloved than nasi lemak, nasi kerabu nevertheless is a terrific way to kick off what we hope might be a new series of specials from the skilled kitchen here. 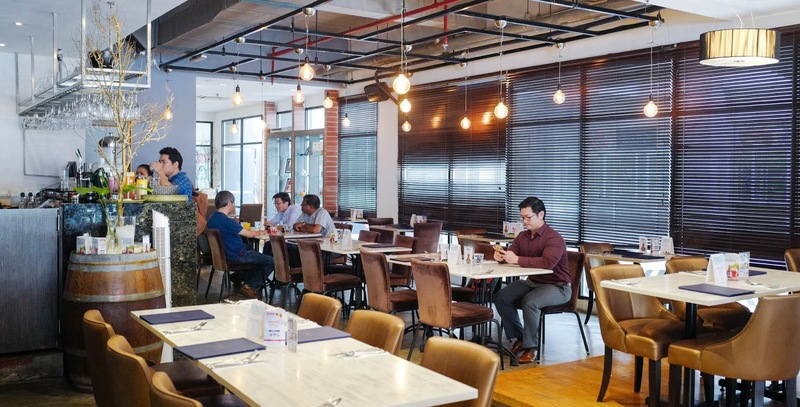 Thanks to ANTE for this preview. 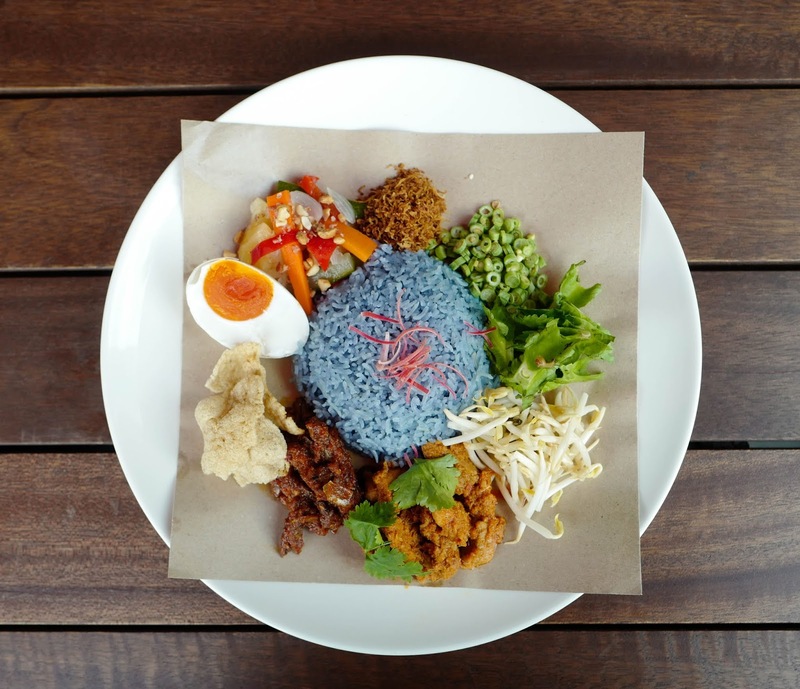 The condiment attract me the most on that plate of Nasi Kerabu is the beautiful salted egg with the yolk in perfect orange hue and sandy texture.